Book A Lake Erie Sport Fishing Trip Today! Are you looking for a Lake Erie Walleye Fishing Charter? 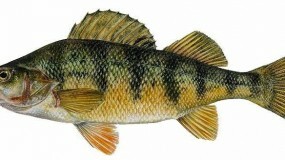 Perhaps a Lake Erie Bass Fishing charter or Lake Erie Perch Fishing charter is your interest? Well you have come to the right Lake Erie fishing charter website. "My name is Charles Crum. I’m the owner of Char-Tom Charters and I would like to welcome you and personally thank you for visiting the Char-Tom Charters web site." Whether its A Walleye fishing charter, Bass fishing charter or Perch fishing charter you want to book, if you’re searching for a professional Lake Erie Fishing charter service, then look no further. Lake Erie charter fishing is fun aboard our vessels you will have a great day catching fish on Lake Erie in a safe, comfortable and relaxed atmosphere. We provide great fishing opportunity for: Lake Erie Walleye fishing, fishing for Lake Erie Yellow Perch, Lake Erie Smallmouth Bass fishing and steelhead fishing on Lake Erie. My goal is 100% customer satisfaction on each Lake Erie fishing charter boat every day! 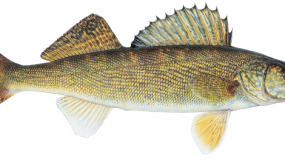 Where do the Lake Erie Walleye hide? We certainly have success at finding them for our Walleye fishing charter customers. Part of being a professional Charter captain is knowing the area where you fish. All of our Lake Erie Fishing Charters run daily, you can call to book anytime or use the website to book your Lake Erie Fishing Charter. 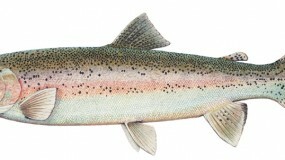 Please feel free to view Our Lake Erie fishing photos so you can see the type of catch you can expect! "I want you to know that by choosing me you are getting someone who honestly believes you get out of it what you put in to it! I am a full time U.S. Coast Guard licensed captain who will give you 110% on every trip. I have experience fishing all over the United States, and I can assure you it doesn’t get any better than what we have right here in Lake Erie!! The waters of the western and central basins of Lake Erie are so productive on a month-by-month basis. By following the largest schools of fish (all the way to the Michigan and Canadian boundaries–and sometimes beyond), I provide my clients the best opportunity to catch quality fish every day." Don’t worry if you’re new to the world of sportfishing. Call today and book your Lake Erie Walleye fishing charter experience!